Jon and Alex in an intimate moment. An intimate moment between the lesbians Yana and Elena who live together as partners in Moscow. Yana Petrova works as a medical advisor and Elena Davydova is economist. Gay activist Dmitry after shaving in his home in St. Petersburg. Many LGBT people in Russia fear loosing their jobs if it is publicly known that they are LGBT. Dmitry, Ph.D. and Associate Professor of Department of Forest Protection and Game Management & Director of Department of Advanced Training and Graduate Studies. Dinner table covered with different dishes as it’s commenly seen in China. West Lake Restaurant in Changsa, Hunan province, China. The biggest Chinese restaurant in the world. Wedding (one among four to be held at the restaurant that day) between Zhuang Tianzhu (Bridegroom) and Liu Huan (Bride). The groom has to walk around to each able and toast and drink with all the guest. His friends accuses him of not emptying the whole glass of the chinese alcoholic drink Baijiu, but to prof that he did he breath at them. West Lake Restaurant in Changsa, Hunan province, China. The biggest Chinese restaurant in the world. Members of the kitchen staff having a small break from work. West Lake Restaurant in Changsa, Hunan province, China. The biggest Chinese restaurant in the world. Chickens are being prepared in the kitchen. West Lake Restaurant in Changsa, Hunan province, China. The biggest Chinese restaurant in the world. Mads Nissen è nato in Danimarca nel 1979. Dopo essersi laureato in foto-giornalismo nel 2007 alla Danish School of Journalism, si è trasferito per due anni a Shanghai per documentare le conseguenze umane e sociali della crescita economica cinese. Nel 2009, è stato selezionato per la Joop Swart Masterclass. Dopo aver lavorato in Cina per pubblicazioni quali Time, Newsweek, der Spiegel e Stern, ha fatto ritorno al suo paese, dove è tutt’ora basato. In Danimarca, Nissen ha lavorato per Berlingske/Scanpix, e nel 2014 si è unito al quotidiano Politiken come staff photographer. 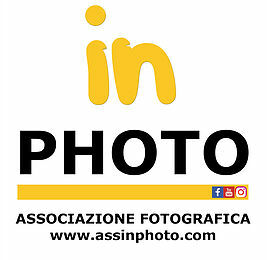 Le opere di Nissen gli sono valse, tra gli altri, dei premi nei contest World Press Photo e Pictures of the Year, oltre a 15 premi dal Danish Picture of the Year, tra cui per due volte Photographer of the Year e Photo of the Year. Ha pubblicato due libri, Amazonas nel 2013 per Gyldendal e De Faldne (The Fallen) nel 2010 per People’s Press, trattando la tematica dei danesi uccisi nella guerra in Afghanistan. Mads è rappresentato a livello internazionale da Panos Pictures; in Italia da Prospekt e in Germania da Laif. Mads Nissen was born in Denmark in 1979. After graduating in 2007 with a degree in photojournalism from The Danish School of Journalism he moved for two years to Shanghai to document the human and social consequences of China’s historic economic rise. In 2009, he was selected for the Joop Swart Masterclass. After working in China for such publications as Time, Newsweek, Der Spiegel and Stern, he returned to his home country, where he is now based. In Denmark, Nissen worked for Berlingske/Scanpix, and in 2014 joined the daily Politiken as a staff photographer. Nissen’s work has been awarded among others in the World Press Photo and Pictures of the Year contests, as well as receiving 15 awards from the Danish Picture of the Year, including twice both Photographer of the Year and Photo of the Year. He has published two books, Amazonas in 2013 by Gyldendal and De Faldne (The Fallen) in 2010 by People’s Press, about the Danish killed in the war in Afghanistan. Mads Nissen is internationally represented by Panos Pictures; in Italy by Prospekt and in Germany by Laif. ← Street photography. Da chi imparare a scattare in strada.